Catch the Laser Holidays Planetarium Experience at the South Carolina State Museum now through January 1st. This is an exciting and unique way to celebrate the season through a display of colorful and dramatic laser lights. Main Street ICE is now open at Boyd Plaza and runs through January 16th. Enjoy a winter wonderland in the heart of the capital city this holiday season! Head out to see Lights before Christmas at the Riverbanks Zoo and Garden from 5 to 9 until December 30. This is an annual tradition that has run for over 25 years! Experience the magic as the Holiday Lights at Saluda Shoals Park come alive in a blaze of more than a million sparkling lights. Take a journey through colorful lights and over 400 animated light displays of all shapes and sizes! Runs daily from 6 to 10 until December 31. Join Historic Columbia at Robert Mills House and Hampton-Preston Mansion for the Historic Holiday Tours daily from 10 to 4pm until December 31st. Kick off your holiday season with a glimpse of how the holidays were in the past! 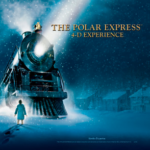 You’re invited on an extraordinary 4-D adventure this holiday season on the Polar Express at the South Carolina State Museum. Head to scmuseum.org for showing times and more information! First Thursday on Main is tonight from 6 to 10pm. 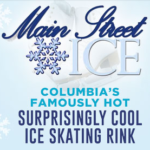 The first Thursday of each month, businesses in downtown Columbia participate in First Thursday on Main by keeping their doors open late, offering a mix of specials, events, and entertainment. 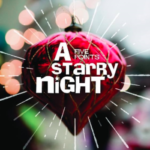 Get in the holiday spirit with one of Columbia’s signature event A Starry Night. Head to Five Points tonight from 4 to 8pm for sweet deals at local retailers, holiday musical performances and complimentary hot chocolate. Head to the South Carolina State Fairgrounds this today through Sunday, December 4th for the Junior League Holiday Market. Join up to 150 merchants from across the nation at this themed shopping extravaganza. The Town Theatre kicks off the the classic holiday tale, “A Christmas Carol: The Musical” today and runs for each weekend until Sunday, December 18th. Visit towntheatre.com for more information. 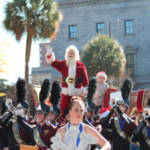 The 63rd Annual Carolina Carillon Holiday Parade is today! The parade will begin at Gervais and Bull Streets and proceed west on Gervais. It will pass in front of the State House, and continue into the Vista to Park Street. Come to the 12th Annual St. Nicholas Festival today from 10 to 4 at 724 Buff Street in Wes Columbia. This is your chance to join in a celebration of family, community and traditional Christmas holiday food and festivity. Head to city roots tonight for the December Harvest Dinner from 6:30 to 9:30pm. Join Executive Chef Travis Rayle from Rosso Trattoria and Executive Chef Frank Bradley from Bourbon as they prepare a family style four course farm to table dinner. Slander & Nghtmre Present: Gud Vibrations at the Music Farm tonight. Doors open at 8 and the show starts at 9. 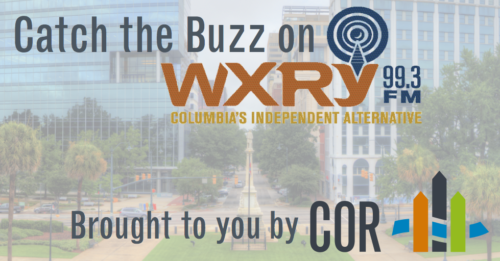 Get involved on COR’s (that’s us!) 2017 Action Teams and help us continue to connect professionals across the Midlands through leadership development, community service and social opportunities. The introduction of teams and first planning sessions for 2017 are today from 5:30-7:00pm at the Richland Library. Come find your place to make a difference! Jo in Leadership Columbia, Columbia Opportunity Resource (COR), The Palladium Society of Historic Columbia, United Way of the Midlands Young Leaders Society, The Contemporaries of the Columbia Museum of Art, Capital City Club and My Carolina Young Alumni Council for the Midlands Meet up Holiday Happy Hour at Jakes on Devine tonight from 5:30 to 7:30. Local band Kelly Cheats will be bringing the live holiday tunes. Head to the River Rat Brewery tonight from 5:30 to 9:30 for the Brewmasters Oyster Roast. You can purchase tickets in the tap room from River Rat employees, or call for more information. Ticket include oyster roast, pig pull, and two beer tickets. 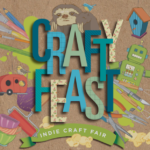 Don’t miss Crafty Feast today at the Columbia Metropolitan Convention Center from 12 to 6pm. Head over to shop & stroll the nearly 100 artisan booths and enjoy DIY crafts; food; beer, wine & mimosas. Head to the Music Farm this Saturday for the Taylor Boys X-Mas Extravaganza. The doors open at 8 and the show starts at 9.